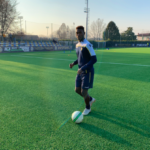 England’s new soccer whizzkid Callum Hudson-Odoi will earn more every minute than his footballer dad netted in a month. The 18-year-old has been offered a £70,000-a week deal at Chelsea - up from the £20k he currently earns. 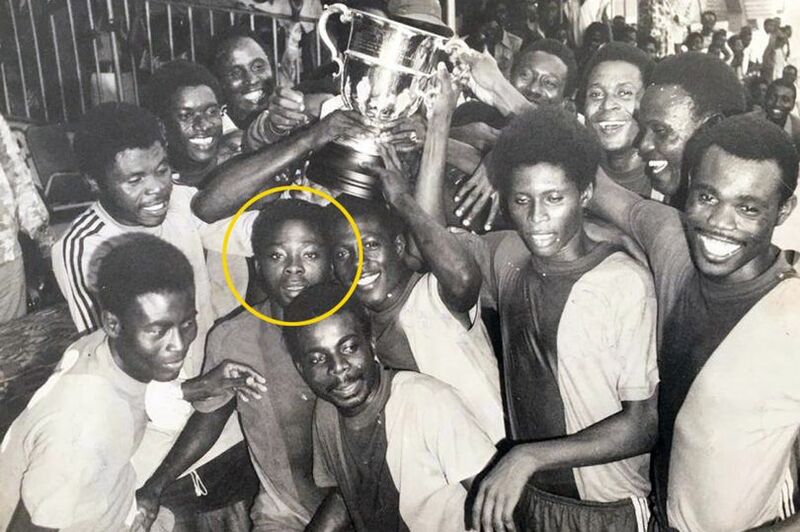 When his dad Bismark Odoi played soccer in his homeland of Ghana, he made just £7 a month – with a £2.80 win bonus… and 70p travel expenses. Bismark, now Callum’s agent, was himself a renowned player who also played for his national side and is still remembered by fans back home. He moved to the UK from Africa to join a Coca Cola soccer course, settling in Wandsworth, South London, where Callum was born. 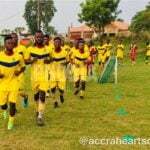 In an exclusive interview Douglas Tagoe, a teammate of Bismark’s, told the player’s remarkable story. Douglas, now a local chief, forged his own career playing alongside his pal for the youth team of the country’s leading club, Hearts of Oak. Douglas, 60, recalled: “I was 17 and Bismark was the same age as me. We played together – he played number 10 and I played number 11. 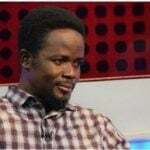 “We played against Kumasi in a famous game – Bismark scored the first goal, and I scored the second. It was a great match. It’s one of the biggest rivalries in Ghana. 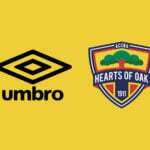 “Hearts of Oak was one of the greatest teams in Ghana, maybe in Africa. We played in African championships. Callum’s brother Bradley, 30, has played for a number of English clubs including Hereford United and, most recently, Surrey side Woking. Dad Bismark grew up in the Accra suburb of Kokomlemle, sharing a 10-bedroom home with his siblings and mother. He went to Accra High School before starting to playing for Hearts of Oak in around 1975. Douglas revealed they were paid 50 Ghanaian cedis a month – around £7. 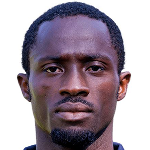 Playing in midfield, Bismark was part of an attacking force known as the Fearsome Fivesome, helping the side to twice finish second in the African Cup of Champions Clubs. 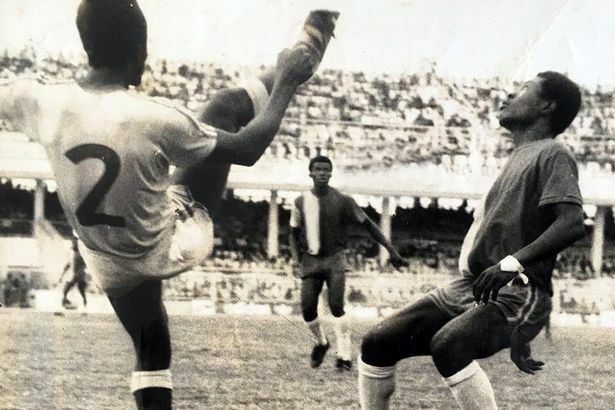 Bismark scored in Hearts of Oak’s historic 2-1 win over rivals Kotoko, in Kumasi, in 1978. The team won despite finishing with nine men – Bismark scoring the opener and Douglas netting the winner. Tragically 16 fans died in a stampede after the game. Douglas said: “Despite leaving in the early 1980s, everyone still knows Bismark. He was a fantastic footballer, very talented. Chelsea reportedly rejected a £35million bid for Callum in January from Germany’s Bayern Munich. 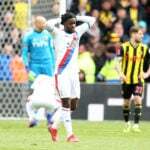 His value soared after he became the youngest player to debut in a competitive match for England, turning out for last month’s 5-0 victory against the Czech Republic in the Euro 2020 qualifiers. He followed that with his first start for the national side in a 5-1 win over Montenegro three days later. The pair played for their national team before Bismark left in the early 1980s to take up a coaching course in Europe. He said: ''Bismark had the biggest talent when we were young. Unfortunately when he left he decided he would stay in Europe. Callum joined Chelsea at the age of eight, making his club debut in January last year aged 17. As a student at Whitgift School, Croydon, from 11 to 14, he helped their team win two Independent Schools national titles. Douglas said: ''Bismark and I are like brothers. I watched Callum play for England and I was so proud. I was saying to people, ‘Look, my brother’s son is making it’. We are so happy. Douglas told how he travelled to meet Bismark and Callum in London around 12 years ago. He said: ''I saw Callum when I was in the UK. He was very young but he had talent. Bismark spoke about how good a footballer he was.